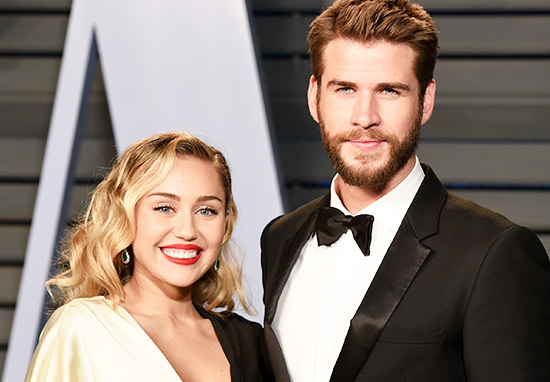 Miley Cyrus and Liam Hemsworth have reportedly called off their wedding. According to sources, the on-off couple have split after an irreconcilable disagreement. This isn’t the first time the pair have split, however. The couple met back in 2009, and first got engaged in 2012 but broke up the following year. A few years later, though, they rekindled their flame and got back together in 2016. Now it seems the Hunger Games actor is eager to settle down and have children with Miley, but she isn’t quite ready for that lifestyle. He wants kids and doesn’t want to keep putting it off but it’s not quite the timeline Miley had in mind… he is left heartbroken. Miley put off plans for the wedding and Liam was growing tired of it… They haven’t been getting along in recent months. [She] didn’t really want to get married. It’s something that everyone else seemed to get but Liam. [His] family had been begging him to see the light for a long time, but he had faith in Miley. Now he feels like an idiot. Last year, the singer said that getting married is not a priority for her. Recently, Miley deleted all of her photos from Instagram, sparking yet more rumours surrounding the couple’s status. Right now my priorities are my music and working on The Voice. As two young people, we have an idea of what commitment is to one another. Representatives for the couple have yet to confirm the split. Earlier this year, it was rumoured that Miley Cyrus and Liam Hemsworth had already married in a secret ceremony in Malibu. However, despite people claiming to have seen the pair in a ‘hippie-style’ wedding at their California mansion, there has been no confirmation that this was the case. Liam had recently opened up about how difficult it was when the high-profile couple split for the first time. Of course it was hard, man. But at the time we were going in different directions and it’s just what needed to happen. We were both super young and it was a good decision at the time – we both needed that. In 2017, Miley announced she had quit smoking and had started to adopt a softer, more feminine appearance than we had come to expect from the Wrecking Ball singer. At a recent appearance at the Grammy Awards, she sang a duet with none other than Elton John, and it went down an absolute treat. Miley looked in her element as she sang Tiny Dancer with Elton, beaming as the pair received a well-deserved standing ovation. Fans were delighted by Miley’s chic appearance and couldn’t get over how gorgeous her dress was. Let’s hope she and Liam can work it out. Liam Hemsworth has since responded to the breakup rumours claiming they are completely false.